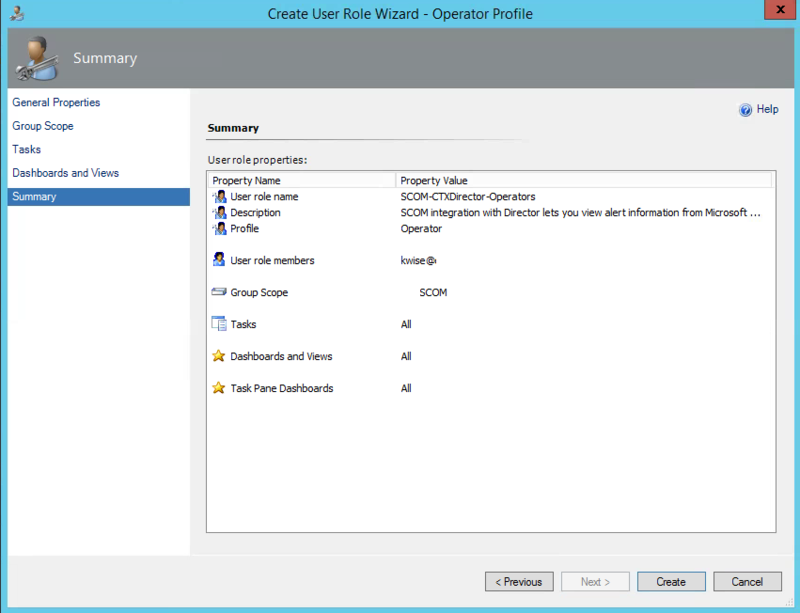 After you have successfully completed the upgrade or new installation you can proceed with integrating SCOM alerts into Citrix Director. 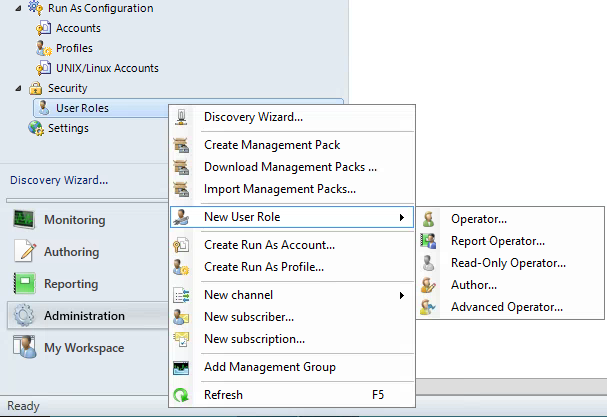 First you need to upgrade your XenDesktop Site to 7.7 and the Citrix Director Server to 7.7. 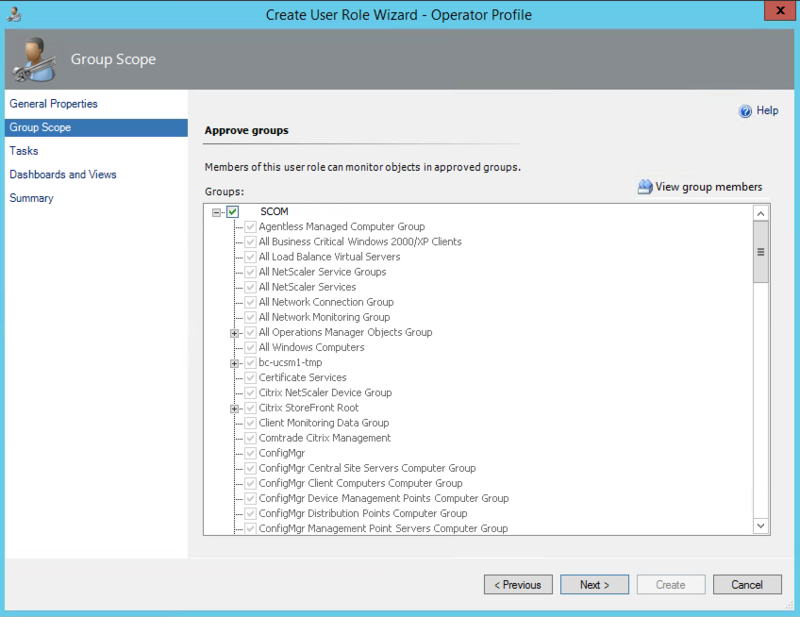 1.On the SCOM Management server you have a couple options, either use an existing Operator Role or configure a new role. 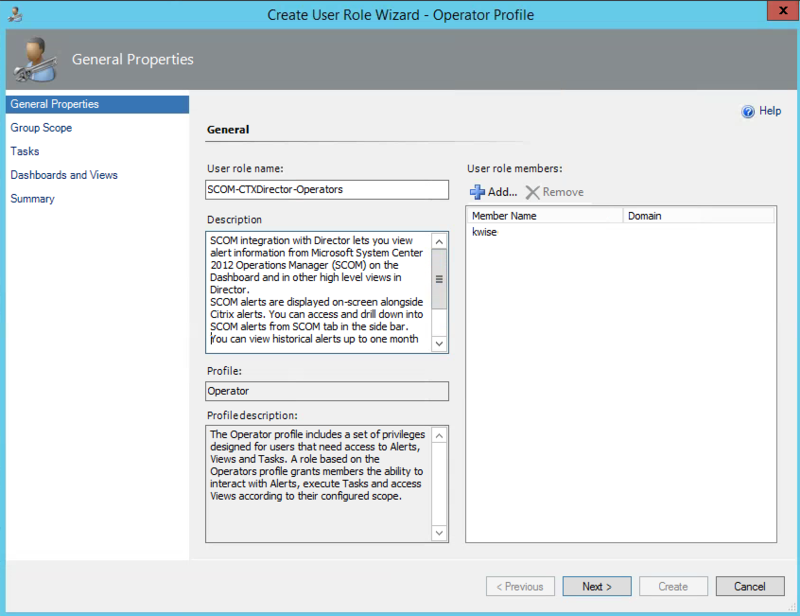 Below are the steps to configure a new user role in SCOM 2012R2. 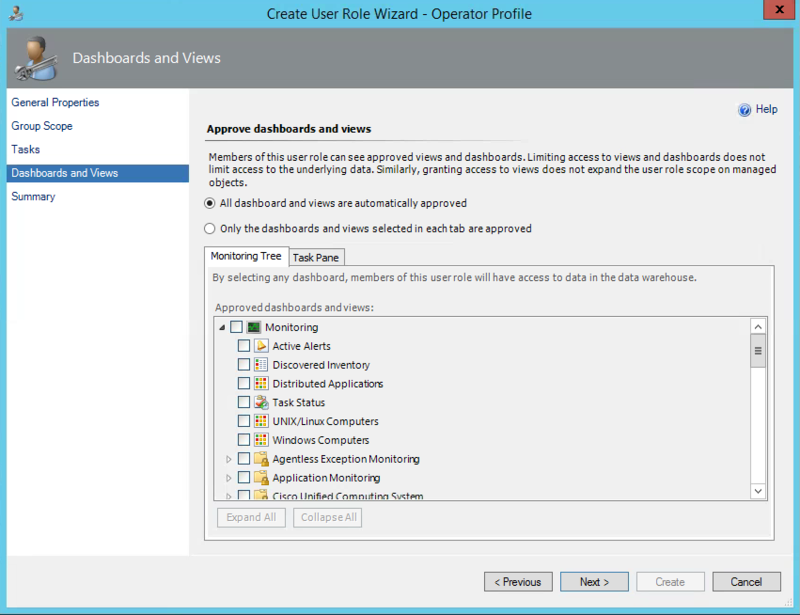 Open the management console and go to Administration > Security > User Roles. 2. 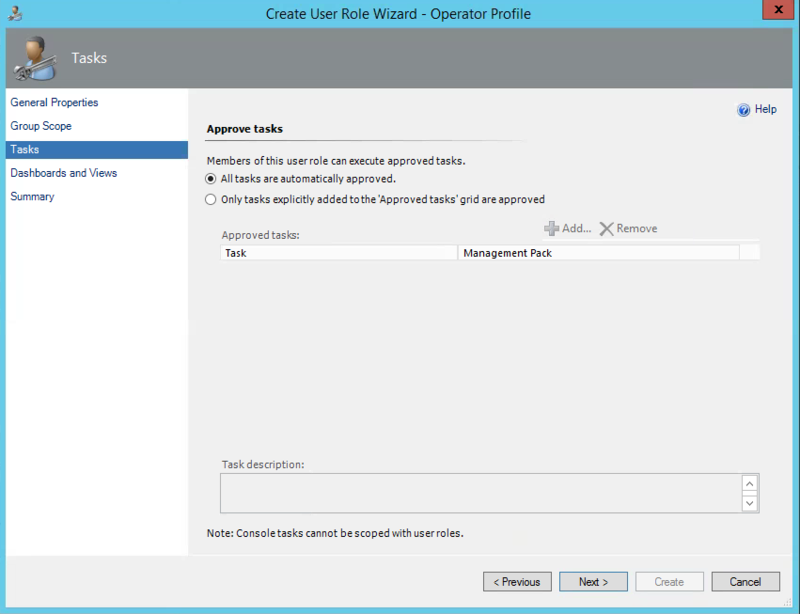 Type a name for the new role, and add a description so other SCOM Administrators know what the function of the User Role is for. 3. Click Add under “User Role Members” and add your domain user accounts and click OK.
4. 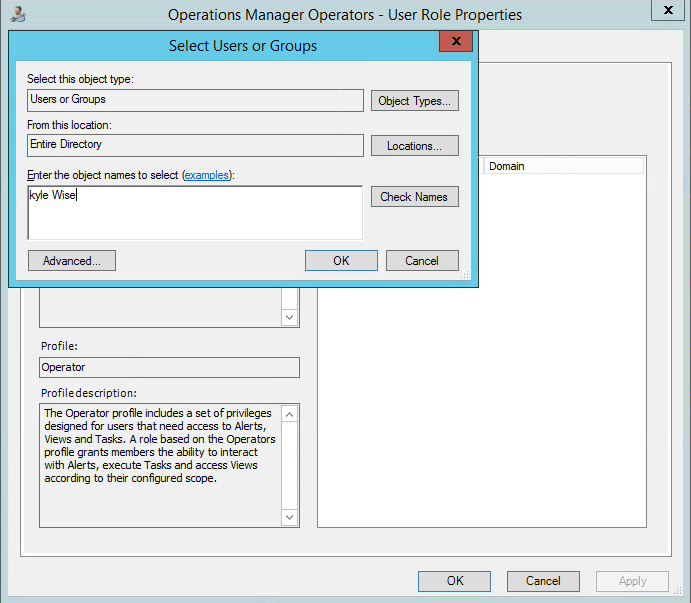 After the Users Role Members have been added, click Next.